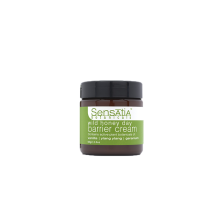 Daily nourishing cream for beautiful faces. 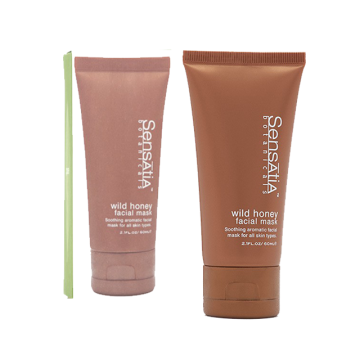 Sensatia’s wild honey day barrier cream features the exquisite honey of Bali’s rugged east coast. Used nightly, will help create a moisture-regulating barrier to protect you all day long from the wilds of your environment; whether it be the office, the city, the ocean or the mountain. Water (Aqua), Theobroma Cacao (Cocoa) Seed Butter, Cetearyl Glucoside & Sorbitan Olivate, Simmondsia Chinensis (Jojoba) Seed Oil, Olea Europaea (Olive) Fruit Oil, Aleurites Moluccana (Kukui) Nut Oil, Honey, Cera Alba (Beeswax), Triticum Vulgare (Wheat) Germ Oil, Zea Mays (Corn) Starch, Sodium Citrate, Benzyl Alcohol & Benzoic Acid & Dehydroacetic Acid, Tocopherol (Vitamin E), Hippophae Rhamnoides (Seabuckthorn) Oil, Vanilla Planifolia Extract, Xanthomonas Campestris (Xanthan) Gum, Pelargonium Graveolens (Geranium) Oil, Citric Acid, Cananga Odorata (Ylang Ylang) Flower Oil, Santalum Album (Sandalwood) Oil, Pelargonium Asperum (Geranium) Extract, Rosmarinus Officinalis (Rosemary) Extract. Into freshly-washed face & neck area; spray a few full mists, let dry or sponge off. Follow with favorite facial dream cream.